Mike O'Neill is charting off into new rock'n'roll territory this summer with the rest of TUNS, but for many, he's still the cherished vocalist of bass-and-drums pop duo the Inbreds. If you're looking to dive deep into the Canadian band's back catalogue, three of their albums are now being treated to vinyl reissues, with the series being toasted with a reunion show in Toronto. The Inbreds have revealed that 1994's Kombinator, 1996's It's Sydney or the Bush and 1998's Winning Hearts land on vinyl on September 29 through Toronto imprint Label Obscura. Each record has been remastered for vinyl and is being pressed up on 180-gram wax. While Kombinator had received a mid-'90s vinyl pressing through U.S. indie label Tag Recordings, this marks the first time either of the other two full-lengths have been delivered on wax. Each release is being housed in "deluxe packaging" and arrives equipped with liner notes written by music journalist and Exclaim! contributor Vish Khanna. The represses are being served up in limited-edition runs of 300 each and can either be ordered on their own or in a bundle. You'll find out more info about the re-releases and pre-order info over here. 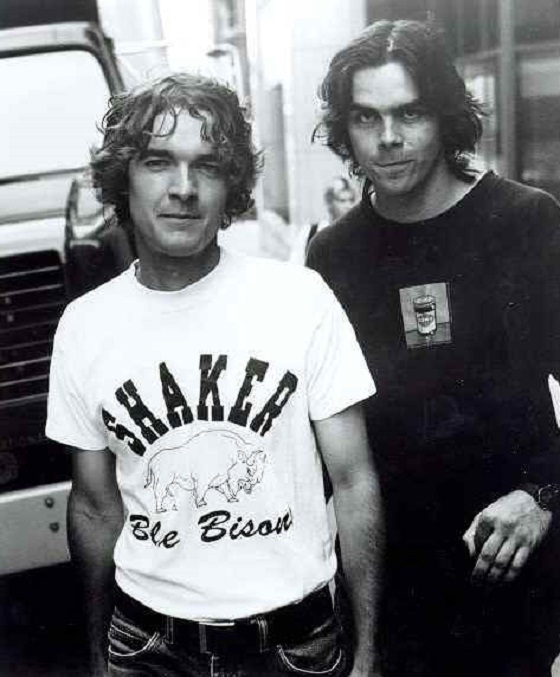 As for the reunion set, O'Neill and drummer Dave Ullrich are getting back together for a performance at Toronto's Gladstone Hotel on September 29. The show is being billed as a one-off to mark the release of the reissues and will also feature an opening set from Peterborough, ON's the Lonely Parade. You can pick up tickets over here. The vinyl reissues will also be available at the show. While the Inbreds initially broke up in 1998, the band have reformed a few times for reunion sets over the years. You can read a review of the band's 2012 Toronto performance here. As for TUNS, O'Neill's new project with the Super Friendz's Matt Murphy and Sloan's Chris Murphy, the band's self-titled debut is due August 26 through Royal Mountain Records.